We often see younger children intently watching the work of others, particularly the older ones. In doing so they absorb much more than it seems, and prepare themselves for more active participation in the activities of the classroom. The Practical Life activities are the basic activities that help us maintain our environment and ourselves. Education of movement is what Practical Life activities are all about. The senses of the child are refined and educated through a series of sensorial activities where each activity isolates and refines a particular sense. Culture activities include Geography, History, Botany, Zoology and Science. These introduce the child to the wonders and mysteries of the world around him/her. Spoken language is offered to the child through conversations and stories. The child learns to read through reading phonetic words first, then sight words. Written language is offered when the child has a good pencil grip, typically around 4 years of age. Mandarin is introduced through conversation, stories and songs. Vocabulary is given through conversation, looking through pictures or with objects in hand. When the child is conversant in Mandarin, and when the hand is ready for writing, he/she is introduced to the different strokes that make up Chinese writing. In this way, the child begins to write and read characters. The concept of numbers is abstract and the child needs concrete experience. 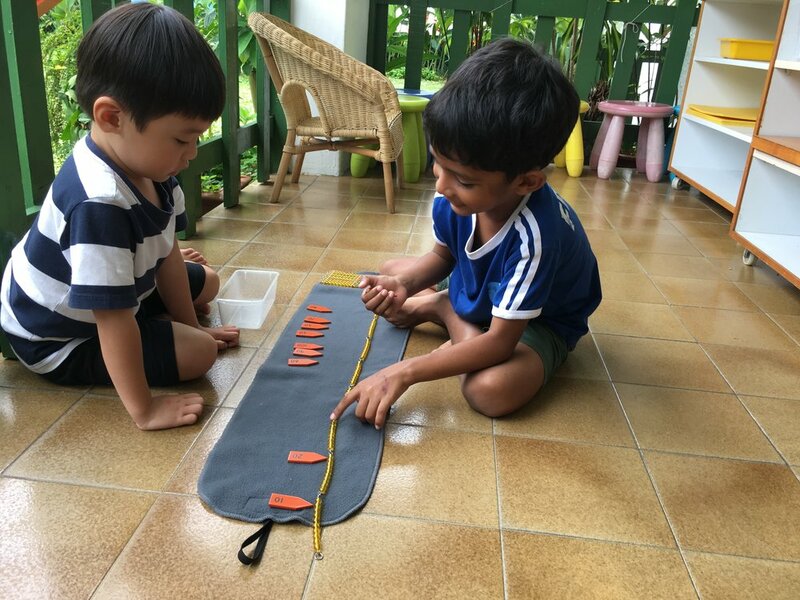 The Montessori approach gives the child concrete experience with materials.